Gorgeous home with one of the best lots in the community! This Copper Ridge model offers all the comforts of home plus a beautiful landscaped yard & privacy in the back. Kitchen features granite counters, SS appliances, gas stove & a breakfast bar. Hardwoods flow throughout the living areas, with carpeting in the bedrooms and ceramic tile in the bathrooms. Master bedroom features a trey ceiling, walk-in closet & connects to the master bath with dual vanity, garden tub & a separate glass enclosed shower. Offering an open concept with an abundance of natural light, you can enjoy the gas log marble surround fireplace in the great room or relax and entertain in the beautiful sunroom. The separate office offers the convenience of a study or flex space of your choice. Enjoy the peace & beauty in the backyard under the covered lanai or catch some sun on the extended paver patio. This home is move-in ready! 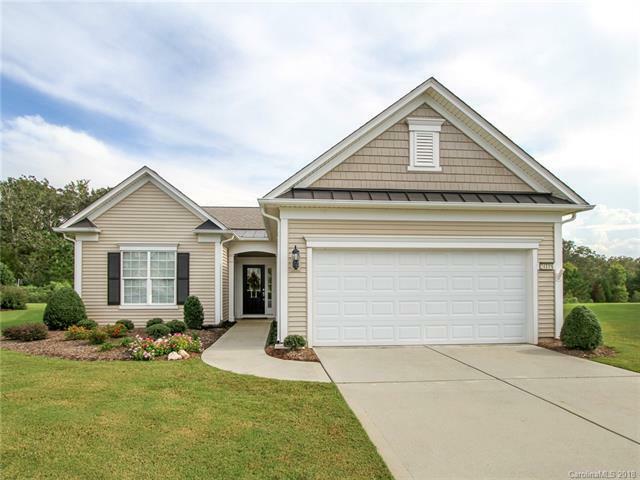 Come check out the community & the active adult lifestyle of Sun City Carolina Lakes.